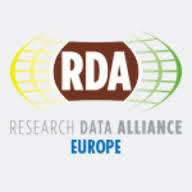 Research Data Alliance (RDA) Europe is organising a series of webinars dedicated to the RDA outputs, planned to take place on the third Tuesday of each month. The webinars provide participants with the opportunity to find out more about the RDA outputs and RDA Working or Interest Group activities and participate in a conversation around the theme. The webinars are aimed at providing an initial overview of the different topics and address more in detail questions like "What problem does this solve?" and "How can I adapt this solution to solve my own problem?". In the near future these webinars on RDA outputs and recommendations as well as webinars on related topics will continue. Please use the registration form to sign up on the RDA Europe website for the webinars. The webinar access link will be provided upon registration. The webinars given so far are also all available as a combination of video and slidedeck. You can find all of these on the Past Webinars page.